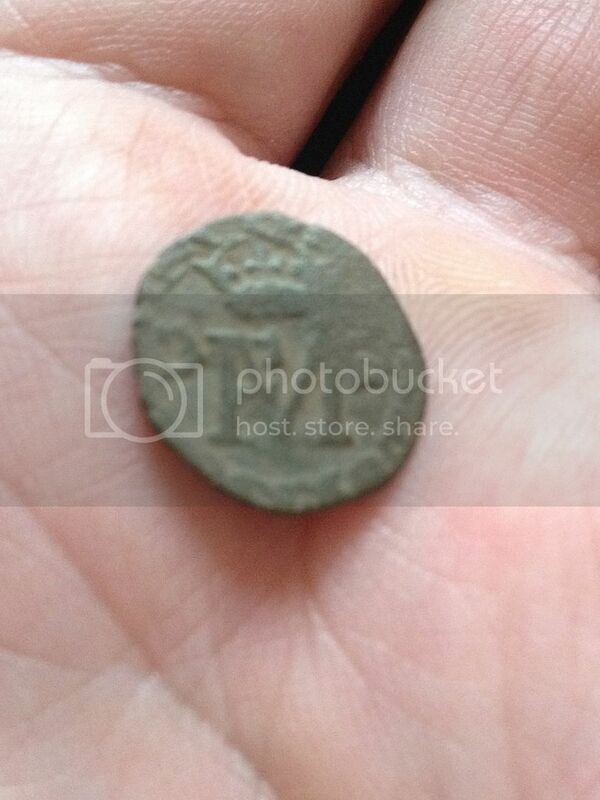 This is a rather sad wee coin found yesterday. I thought it showed a large letter S on the reverse but of course it is the lion's tail (thanks Derek). I think it is a Lion or Hardhead but the thing is, using my Spinks book I cannot see anything similar, with the star to the left of the lion rampant. The coin is tiny, as thin as a piece of paper and about 14mm diameter. Can anyone narrow it down as to full id? Pity it's not in better condition. I can see the letter M for Mary Queen of Scots and the crown above. I think the metal is billon. 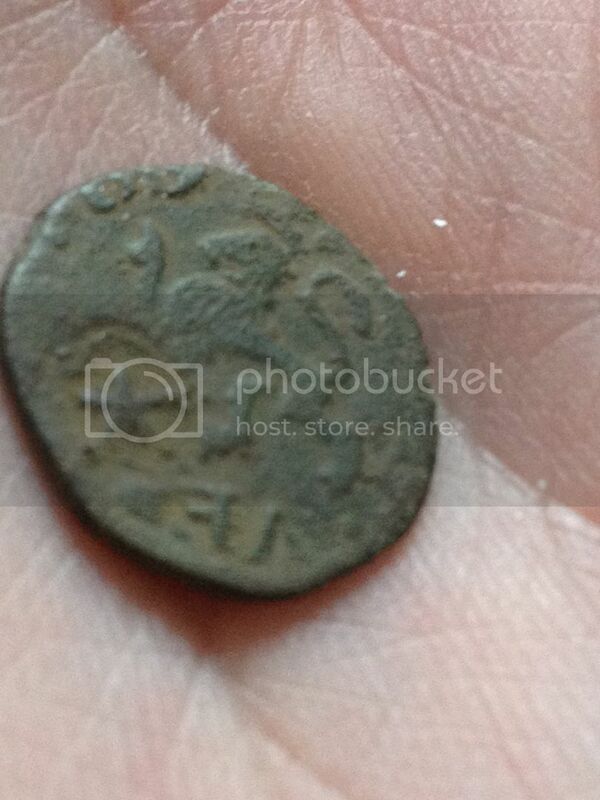 Well done Howard, nice find and good ID Belso. Thanks guys. Good id too Martin. You keep finding the weird (ie different) stuff Howard! Just goes to show Bob how the Deus is able to locate such a tiny target. It really is tiny. ...magic Howard, a great wee find and a solid ID by Belso, well done both!!! Nice find Howard. Its counterstamped with the star in a heart making it a james the 6th issue. Hardheads were really heavily counterfeited the counterstamped ones are the real deal.